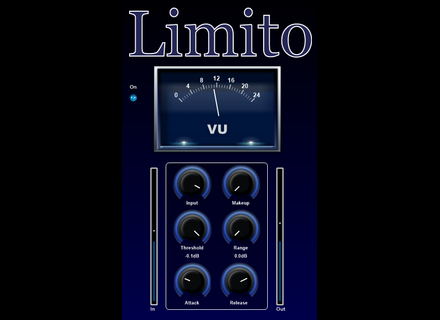 Limito, Software limiter from WSProAudio. WNP Sounds has released Limito and Mlimito, two limiter plug-ins in VST format for Windows in a single bundle. Limito is a single-band limiter while Mlimito is a multiband processor, that’s the only difference between them. Each band features input, threshold, attack, release controls, as well as a VU-meter and a Range feature that increases the level while reducing the processed signal. You can adjust in the multiband version the frequencies for each low, mid-low, mid and high bands as well as the main input and output. 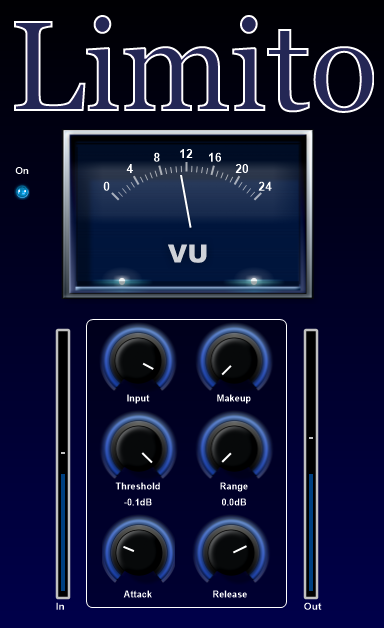 Limito/Mlimito is a VST 32-bit plug-in for Windows. It is available for CAD $19.99 and you can download a trial version from www.wnpsounds.net. Cross DJ is now Pro on Android DJs using the MixVibes mixing app on their Android devices will now find it on the store under the new Cross DJ Pro name. Prodyon adds Elektrono to Kontakt Elektrono is the first expansion pack for the Prodyon Shortnoise 2 and is intended for electronic musicians, DJs and producers using Kontakt. Acon introduces a new EQ plug-in Acon Digital launches Equalize, a new 12-band parametric EQ for Mac OS X and Windows.